Hamza Al- Shalabi (BS, student): Hamza Al-shalabi is an undergraduate student at FIU, working towards a B.Sc. degree in Civil Engineering specializing in structural engineering. He has been working as a research intern for ABC-UTC at FIU for almost six months now and assisted with most of the projects taking place in the research lab. Hamza is an active member in the ASCE FIU chapter; he is active in the steel bridge, concrete canoe, and the dynamic dam projects for the ASCE conference in the beginning of March. Hamza is expected to graduate in May 2019 and he wants to continue his masters in construction management. Ali Bakhtari (PhD, Student): Ali Bakhtiari is a graduate research assistant at FIU. He graduated with a M.Sc. in Structural Engineering in 2016 from Sharif University of Technology, Tehran, Iran. He also received his B.Sc. in Civil Engineering from Sharif University of Technology in 2012. His M.Sc. research project focused on importance of overstrength factor in inelastic behavior of soil-structure systems. He started his PhD in Civil Engineering in 2018. He is currently working on the ABC-UTC research project “A Predictive Computer Program for Proactive Demolition Planning” under the supervision of Dr. Seung Jae Lee. 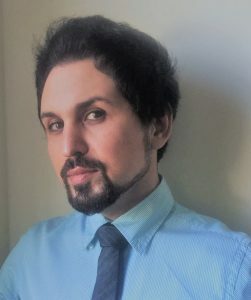 Mohamadtaqi Baqersad (PhD, Candidate, P.E. ): Mohamadtaqi Baqersad is a graduate research assistant at Florida International University in Miami, FL. He received his M.Sc. in Civil Engineering from Isfahan University of Technology in Iran in 2014, and his B.S. in Civil Engineering in 2011 from Yazd University in Iran. In his Master’s thesis, he worked on numerical simulation of consolidation settlement of saturated soil. He has started his PhD in structural and Pavement Engineering since August 2015. Currently, he is working on an ABC project called “Development of Guide for Selection of Substructure for ABC Projects” at Florida International University under the supervision of Professors Armin Mehrabi and Hesham Ali. This project provides guidelines for decision making by the designers and bridge owners for the selection of substructure and foundation for new bridges and replacement of existing bridges using the ABC methods including evaluation, retrofitting, design, and construction. Sumana Bhattacharya (PhD, Candidate): Sumana Bhattacharya is a PhD student at FIU specializing in geomechanics. She received B.S. in Civil Engineering from Jadavpur University, India and M.S. in Geotechnical Engineering from National Institute of Technology, Rourkela, India. During her master’s studies, she applied finite element method, finite difference method and artificial neural network to geotechnical engineering problems. After completing her B.S., she worked as a software automation engineer for three years. She is currently assisting on multi-scale modelling of bridge foundations. Nerma Caluk (MS, Student): Nerma Caluk is a graduate research assistant at Florida International University in Miami, FL. She obtained her B.Sc. in Civil Engineering at Florida International University in 2018. She has started her MS in Structural Engineering in August 2018. Currently, she is working on construction of prefabricated UHPC shell as stay-in-place framework in order to reduce the scaffolding and falsework, and reduces on-site construction time at Florida International University, under the supervision of professors Dr. Azizinamini. In this research, the UHPC shell tube, which envelopes the column, acts as a durable protection layer against environment for regular reinforced concrete. It focuses on performance of concrete filled UHPC tube as bridge column, and their connection detail with other bridge elements. Francisco Chitty (PhD, Student): Francisco Chitty is a PhD student at FIU with a focus on structural engineering. He received his M.Sc. degree in Civil Engineering from Florida International University in 2016 and B.Sc. from Andres Bello Catholic University in 2014. As part of his Bachelor’s research, he developed and published a structural retrofit scheme of a typical school’s concrete structure in Venezuela to decrease its seismic vulnerability. As part of his Master’s research, he worked on simulation of evacuation environments based on collected data by integrating three types of analysis: social behavior, architectural analysis, and structural analysis in one single simulation step during emergency scenarios. The study of evacuation scenarios was based on multi-scale methods for agent-based simulations. Currently, he is assisting on the project related to performance of precast concrete deck panels. Saiada Fuadi Fancy (PhD, student): Saiada Fuadi Fancy is a PhD student at FIU with a focus in structural engineering. She received her M.Sc. degree in Structural Engineering from Bangladesh University of Engineering & Technology and her B.Sc. degree in Civil & Environmental Engineering from Shahjalal University of Science & Technology. Her M.Sc. research was focused on the experimental performance investigation of beam column frames with column kickers. She started her PhD in structural engineering in Fall 2014. Currently, she is working on the corrosion durability of reinforced concrete utilizing UHPC for ABC applications. 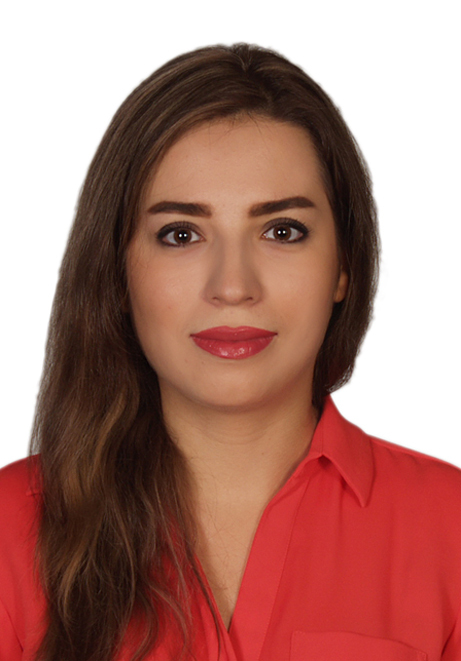 Saman Farhangdoust (PhD, Student): Saman is a PhD candidate in Structural Engineering at Civil and Environmental Engineering department of Florida International University. He received his M.Sc. in Rolling Stocks Engineering from Iran University of Science and Technology and his B.Sc. in Mechanical Engineering – Solid Mechanics. He has been working on Nonlinear Vibration Analysis of Thin-Walled Structures, Structural Health Monitoring (SHM) of Composite Structures, Design and Nondestructive Evaluation (NDE) of Infrastructure Systems, and Smart Bridge Monitoring projects. As a multidisciplinary graduate research assistant, he is currently working on two ABC projects at ABC-UTC: “Nondestructive Testing Methods (NDT) Applicable to Health Monitoring of ABC Closure Joints” which is focused on development of practical and economical methods for field inspection of ABC closure joints; and “Development of Guide for Selection of Substructure for ABC Projects” which provides guidelines for decision making by the designers and bridge owners for the selection of substructure and foundation for new bridges and replacement of existing bridges using the ABC methods, including evaluation, retrofitting, design, and construction. Mahsa Farzad (PhD, Candidate): Mahsa Farzad is a graduate research assistant at Florida International University in Miami, FL. She received her M.Sc. in Civil Engineering from Sharif University of Technology in Iran in 2013, and her B.S. in Civil Engineering in 2010 from Shahrood University of Technology in Iran. In her Master’s thesis, she worked on experimental study of building bracing systems using semi-rigid connections. She has started her PhD in structural Engineering since August 2014. Currently, she is working on a new bridge construction system called “Simple for Dead, and Continuous for Live Load (SDCL)” in Florida International University under the supervision of Professor Azizinamini. This system utilizes a joint detail at the interior supports that does not become continuous until after the dead loads have been applied. The purpose of this research is to investigate the performance of this system in high seismic areas. 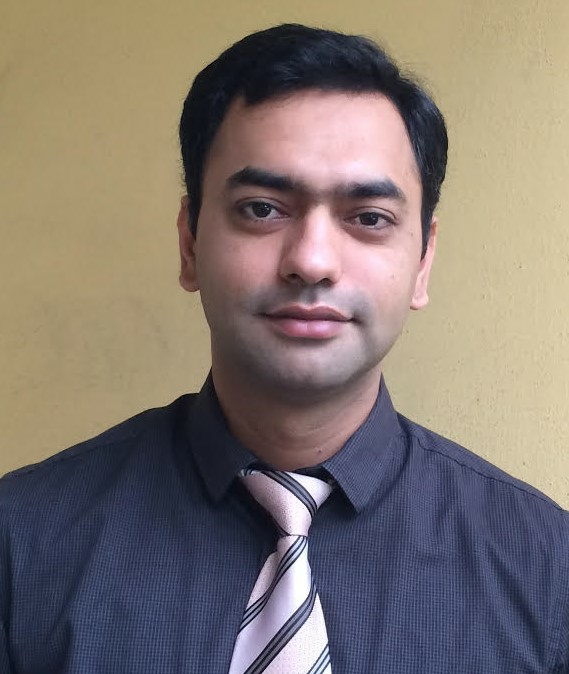 Dewan Hossain (PhD, Student): Dewan Hossain is a PhD student at FIU with a focus in structural engineering. He received an M.Sc. and MCE degree respectively in structural materials engineering and transportation infrastructure engineering respectively from Louisiana Tech University, Louisiana and the University of Delaware. In addition, he received his B.Sc. degree in Civil Engineering from Bangladesh University of Engineering and Technology, Dhaka, Bangladesh. Apart from that, he worked on a NASA led research project of repairing rocket testing facility by Geopolymer concrete. Currently, he is working on corrosion related projects. Ehsan Izadpanahi (PhD, Student): Ehsan Izadpanahi is a PhD student at FIU with focuses on Fluid-Solid interaction, Aeroelasticity, and Computational Mechanics. He joined the mechanical engineering program at Florida International University as a PhD student in 2016, and now he is working as a graduate research assistant in Fluid-solid interaction laboratory. He obtained his master’s degree from Chamran Ahvaz University. He has been working on wide range of topics such as, Stability Analysis and Nonlinear Structural Dynamics of Beams Subjected to Follower Forces, and Constructal Design and Stability of High Altitude Long Endurance Aircrafts. Currently he is working on the ABC-UTC research project “Application of Drone in Accelerated Bridge Construction”. Azadeh Jaberi (PhD, Student): Azadeh Jaberi Jahromi is a PhD student with a focus on structural engineering at FIU. She received her M.Sc. from Iran University of Science, Tehran, Iran and B.Sc. degree in 2006 from Tabriz University, Tabriz, Iran. Her M.Sc. research focused on retrofitting concrete bridges with FPR and characterization of plastic hinges in reinforced concrete bridge piers. She was a structural designer at Mapna Group for seven years before returning to academia. She is currently working on the ABC-UTC research project “Development of Manual for Enhanced Service Life of ABC Projects”. Seyedmirsajad Mokhtarimousavi (PhD, Candidate): Sajad is a PhD student in Civil and Environmental Department at Florida International University in Miami, FL. He received his M.S. degree in Transportation Planning from IAU, Science and Research Branch, Tehran, Iran in 2013. His primary focus is on transportation systems planning, travel behavior analysis, and transportation safety. His Master’s thesis research was on airport planning and surface management by studying the improvement of runway capacity through the best possible landing sequence for the optimum outcome. 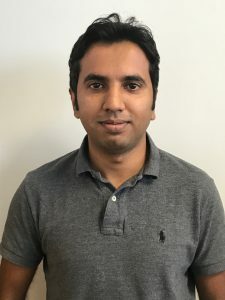 In his PhD program, his research has focused on developing machine learning techniques to analysis highway work zone safety and the benefits can be obtained through the implementation of ABC method. He is working under the supervision of Dr. Atorod Azizinamini. Sheharyar-e-Rehmat (PhD, Candidate): Sheharyar e Rehmat is a PhD candidate at FIU with a focus in structural engineering. He received his M.Sc. degree from Saitama University, Japan and B.Sc. degree in Civil engineering from the University of Engineering and Technology, Pakistan. He started his PhD in structural engineering in 2016. Currently he is working on the ABC-UTC research project related to use of Ultra-High Performance Concrete as shell elements. Roberto Rodriguez (PhD, student): Roberto Rodriguez is a PhD student at FIU with focus on soil structure interaction. He obtained his B.Sc. in Civil Engineering at Florida International University in 2014 and a M.Sc. degree in Civil Engineering from the University of California, Los Angeles. His project is titled “Innovative Foundation Alternative for High Speed Rail Application”. Mohamadreza Shafieifar (PhD, Student): Mohamadreza graduated from Sharif University in 2012 with a M.S. in Civil Engineering. He is currently a PhD student at Florida International University (FIU). He is working on modeling buildings and bridges using Abaqus and SAP software. From a very young age, he was familiarized with civil engineering since his father held the same degree and pursued it as his career. Mohamadreza’s career has taken off in two different directions. From a pedagogical perspective, he has worked as a lecturer in ABA University. On the other hand, he has worked as a building designer at Bandab and Yekom consulting engineering firms. He is actively involved in ongoing research in the area of Accelerated Bridge Construction (ABC). He has also taken an interest in new technologies such as web designing as one of his main hobbies. Esmail Shahrokhinasab (PhD, Student): Esmail is a graduate research assistant at FIU in Miami, FL. He received his M.Sc. in Civil Engineering, Railway Structure Engineering major, from Iran University of Science and Technology in 2012 and his B.Sc. in Civil Engineering, in 2009 from the Amirkabir University of Technology in Iran. In his Master’s thesis, he worked on “Field studies on the effects of under sleeper pads in lateral resistance of railway”, under supervisor of Dr. Jabbar Ali Zakeri. He also worked as a civil expert in different departments in one of the most prominent companies in dam industry “Mahab Ghodss Consulting Engineers,” Tehran, Iran for six years. He has been working on a wide range of topics such as sustainability, structural health monitoring, concrete technology and long-term durability of structures. Esmail is working on FDPC deck panels, and his current project is entitled “Performance Comparison of In-Service, Full-Depth Precast Concrete Deck Panels to Cast-in-Place Decks” in FIU under the supervision of Dr. Garber. Carlos Sosa (PhD, Student): Carlos Sosa is a PhD, student at FIU with a focus in structural engineering. He received his M.Sc. in Structural Engineering from Pontifical Catholic University of Peru in 2014 and B.Sc. in National University of San Agustine in 2005, both from Peru. In his Master’s program his research project was focused on development and experimental assessment of a new reinforcement system for earthen constructions. He started his PhD in Civil Engineering in 2018. Currently, he is working on the ABC-UTC research project under the supervision of Dr. Atorod Azizinamini. 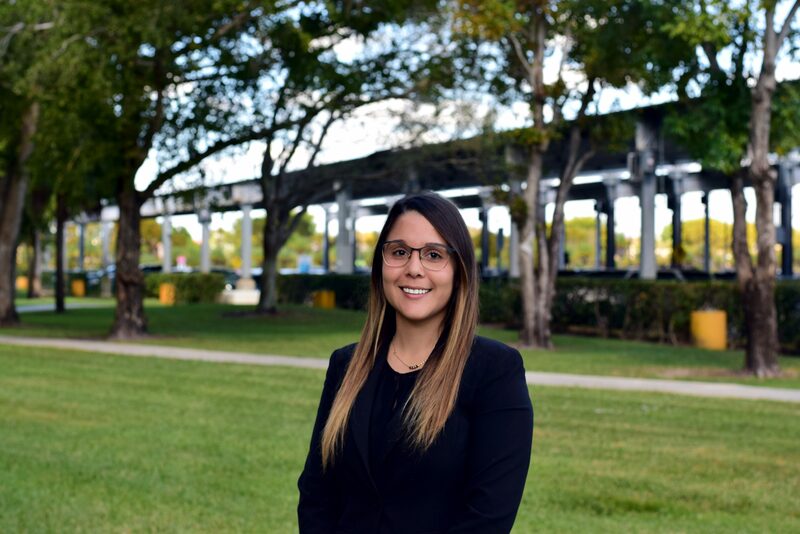 Ana Torrealba (MS, Student): Ana Torrealba is a graduate research assistant at Florida International University. She received her bachelor’s in Civil Engineering from Carabobo University, Venezuela in 2015. Her Bachelor’s research received a publication mention for the proposal of the structural retrofit of “Caribe Hotel” located at Vargas, Venezuela. After completion of her bachelor’s degree she worked as a research assistant with the use of Nondestructive Testing Methods (NDT) by performing an ultrasonic test with an ultrasonic pulse velocity device to the “Caribe Hotel”, Venezuela. 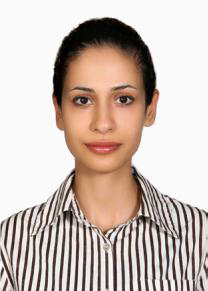 Presently, she is doing her MS with a focus on Structural Engineering and she is currently assisting on the “Development of ABC Course Module Available ABC Bridge Systems for Short Span Bridges” under the supervision of Dr. Armin Mehrabi. This project provides guidelines for the application of ABC for short-span bridges covering various aspects of decision-making, construction methods, available elements and systems, performance and inspection, design, detailing and connections. Alireza Valikhani (PhD,Student): Alireza Valikhani is a PhD student at FIU. He received a M.S. in structural engineering, earthquake engineering and civil and environmental engineering respectively from University at Buffalo, New York, Sharif University, Tehran and Tehran University, Tehran also he received a B.S. in civil engineering from Tabriz University, Tabriz. He has experience of working as structural designer and supervisor in field for four years. He is currently working on new methods of retrofitting bridge structural elements. Sayed Feras AlMosawi (BS, Student): Beginning in 2015, Sayed Feras attended Florida International University, where he graduated with a master’s and bachelor’s degree in civil engineering, both focusing in structure. During his time there, he was an undergraduate and a graduate research assistant, where he assisted Dr. Armin Mehrabi on his research project focusing on NDT methods applicable to health monitoring of ABC closure joints. This project involves search, identification, and adaptation or development of practical and economical methods for field inspection and damage detection of ABC closure joints, immediately after completion and periodically there after during its service life. In Fall of 2016, he was awarded the ASCE SEI-ACE merit award for ACE outstanding structural engineering student. Currently Sayed Feras is searching for a full time job opportunity in the field of structural and civil engineering. Daniel Castillo (MS, Student): Daniel Castillo is a M.Sc. 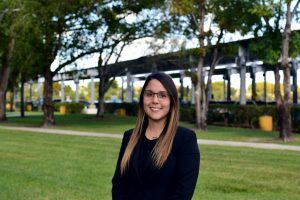 student at FIU with a focus in structural engineering and will graduate in December 2018. He obtained his B.Sc. in Civil Engineering at Florida Atlantic University in 2016. He has construction project management experience as well as structural engineering experience designing low-rise buildings and other structures such as amusement park ropes courses. Currently, he works as a structural engineer at Hardesty & Hanover where he is part of the movable bridges design team. In the past, he worked on the ABC-UTC research project “Towards simulation-aided predictive demolition planning” under the direction of Dr. Seung Jae Lee. Vanessa Castillo (BS, 2014): Vanessa was an undergraduate ABC-UTC assistant at Florida International University. She graduated in December 2014 with a BS in Civil Engineering and is pursuing her MS in Construction Management. Jaime Danies (BS, Student): Jaime Danies was an undergraduate research assistant at FlU during the summer of 2017. He is currently a student at Columbia University working towards a B.Sc. in Civil Engineering with a concentration in Structural Engineering and a minor in Architecture, and will be graduating Spring 2020. 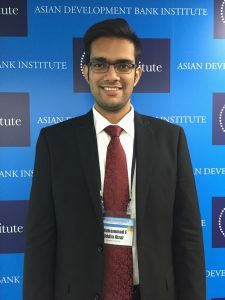 As an ABC-UTC research intern at FIU, he worked under Dr. Atorod Azizinamini to assist various PhD candidates on various projects, particularly those investigating alternative ABC connections using UHPC. Outside of class, Jaime enjoys photography and is Vice President of his ASCE chapter. Alfredo Ignacio Falcon (BS, 2017): Alfredo is an undergraduate student at Florida International University. He is currently working towards receiving a B.S. in Civil Engineering by May 2017, and plans to pursue a M.S. in Structural Engineering. Alfredo has been a student assistant for ABC-UTC since September 2015, and has participated in the testing process of a cap beam-to-column connection with the use of the Ultra High Performance Concrete research project. He has since developed a great interest for Accelerated Bridge Construction, concrete design and UHPC. Alfredo is also chair at the American Concrete Institute Student Chapter at FIU and Captain of the Steel Bridge team for the American Society of Civil Engineers at FIU. He can be contacted at afalc033@fiu.edu. Julian Gomez (BS, 2015): Julian was an undergraduate research assistant at Florida International University. He completed his B.S. in Civil Engineering in 2015. Julian worked with the ABC-UTC for nearly a year as an undergrad assisting with several different event projects and research. Outside of school, Julian loves to spend time with family and playing soccer on his free time. Jawad Gull (PhD, 2015): Jawad is bridge designer at HDR and has nine years of experience in research and in structural engineering as well as expertise in cable structures and steel bridges. He has worked on diverse engineering projects in United States, Japan and Pakistan. He is currently working on I-4 Ultimate project that involves design and construction of over 60 new bridges and replacement of over 70 existing bridge bridges. Dr. Gull obtained his doctorate degree from Florida International University. He worked on several research projects and successfully addressed issues related to construction, inspection, and rehabilitation of bridges. He served as the assistant director of ABC-UTC at Florida International University, and was PI of key ABC-UTC research projects addressing the issues related to service life and data base management of ABC projects. He earned his masters from Saitama University, Japan. He and his research team worked in collaboration of Tokyo Electric Power Company and addressed several issues related to wind induced vibrations of cable structures. He has been involved in several destructive and non-destructive tests of structures and materials in Pakistan. He is active member of ASCE and ACI, and a proud member of ABC-UTC mentoring team. 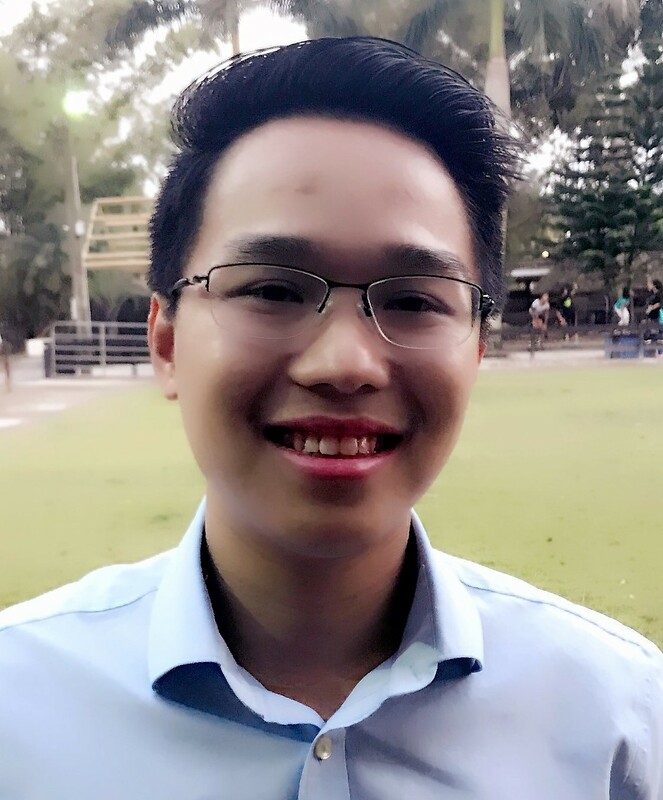 Jianmin Jia (PhD, 2017): Jianmin earned his PhD in the Transportation Engineering program at Florida International University in Miami, FL. He was a PhD student from August 2013 until he finished in 2017. He received his M.S. degree in Civil Engineering from ShanDong University, Jinan, China, in 2013, and his B.S. degree in Mathematics from Shandong University, Jinan, China in 2010. In his Master’s thesis, he worked on Integrated Evaluation System for Urban Green Transportation. Jianmin worked on the ABC-UTC research project entitled “Estimating Total Cost of Bridge Construction using ABC and Conventional Methods of Construction” under supervision of Professor Hadi in Lehman Center for Transportation Research (LCTR). He also has participated in the project for SHRP 2 L38(C): Pilot Testing of SHRP 2 Reliability Data and Analytical Products, and project for Optimizing Emergency Management System (EMS) through the Use of ITS Technologies. 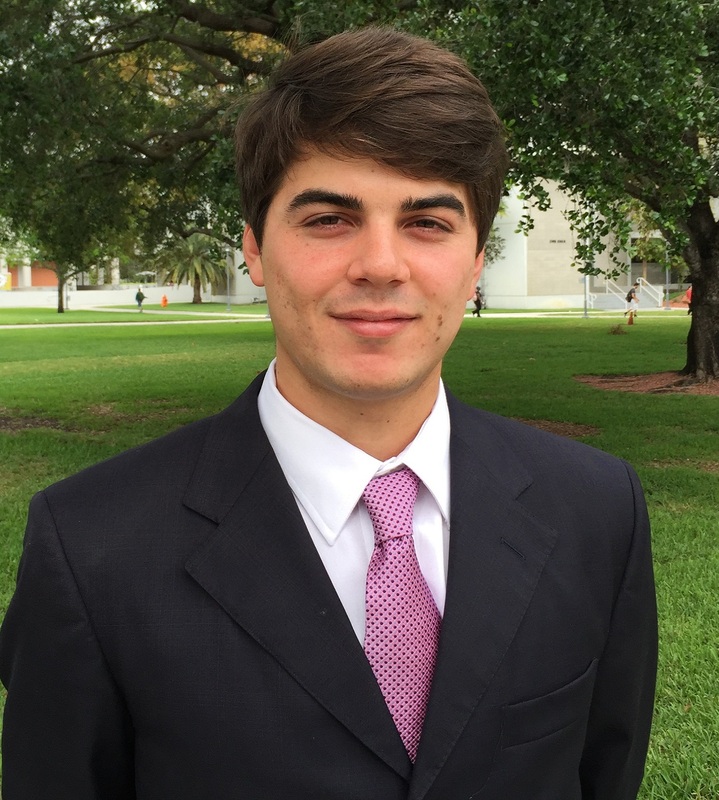 Manfredi Di Maggio (BS, Student): Manfredi Di Maggio is an undergraduate student at FIU, working towards a B.Sc. degree in Civil Engineering. He worked as a research intern for ABC-UTC at FIU from Fall 2017 to Summer of 2018, assisting the graduate students on various projects, such as casting of Ultra High-Performance Concrete (UHPC) with applications in corrosion and durability of reinforced concrete. Manfredi started his studies in Civil because of his passion for infrastructures and innovating engineering projects, and is expected to graduate Spring 2019. Carlos Mena (BS,2018): Carlos Mena was an undergraduate student at FIU working towards a B.Sc. degree in Civil Engineering. He worked as a research intern for ABC-UTC at FIU in 2017 and assisted with ongoing projects that took place in the lab. He acquired this position networking through the American Society of Civil Engineers (ASCE) chapter at FIU. He’s is member of ASCE at FIU and has attended previous annual conferences. Carlos graduated in the Fall of 2018 and is currently working as a Junior Engineer at a heavy civil construction firm, Perfetto Contracting in Brooklyn, NY. Alireza Mohammadi (PhD, 2017): Alireza Mohammadi received his doctoral degree in structural engineering from FIU in December 2016. He received his M.Sc. degree in earthquake engineering from Sharif University of Technology, Tehran and B.Sc. degree from Tabriz University in Iran. He was a structural engineer at Zelzeleh Mohaseb Consulting Engineering Co. for four years before returning to academia. He was involved in several bridge engineering research projects at FIU and assisting with ABC-UTC research and other activities such as organizing monthly webinar and preparing progress reports. His PhD dissertation focused on the dynamic response of high-rise building under wind excitation. He recently joined WSP Parsons Brinckerhoff to start his career in the transportation market sector. He can be contacted at amoha058@fiu.edu. 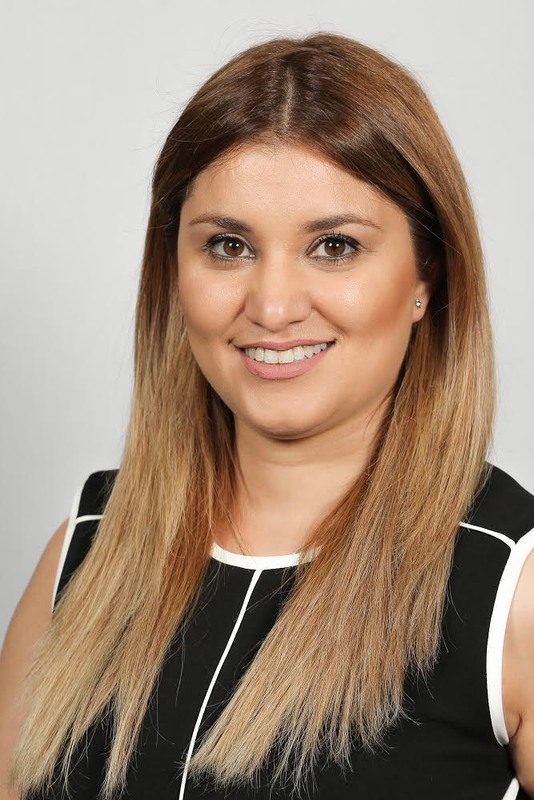 Saivy Nasser(BS, 2017): Saivy Nasser successfully graduated from FIU with a B.Sc. degree in Civil Engineering in 2017. He is now applying his earned knowledge from ABC-UTC in the transportation field as a Transportation Engineer I for a consulting firm in the city of Ft. Lauderdale. Joselaine Pateau (BS, 2016): Joselaine finished her undergraduate degree at Florida International University in 2016. She also has earned her Associate in Arts in Civil Engineering at Miami-Dade College. During her time at FIU, she worked as an intern for the ABC-UTC. The purpose of her research was to begin the process of developing crash-tested, pre-fabricated bridge railings that have durable anchorage details. Outside of school, Joselaine is working part time as a retail associate and spends her free time reading and singing. Huy V. Pham (PhD, 2016): Dr. Pham joined AECOM in 2016 as a structures designer. He is currently working on different projects involving design and construction of steel, concrete and railroad bridges such as SR 826 to I-75 Express Lanes Program, All Aboard Florida Miami Viaduct, NE 203rd Street Intersection Improvements between SR 5/US-1 and West Dixie Highway, and Wekiva Parkway Section 7A (SR 429). 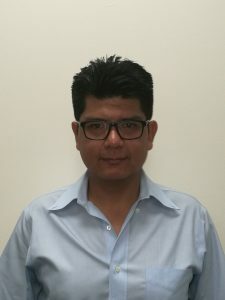 Dr Pham obtained his doctoral degree from Florida International University in 2016 and his master’s degree from Georgia Institute of Technology in 2013. During his time at FIU, he worked under the ABC-UTC where he was involved in several research projects related to construction, inspection, and rehabilitation of bridges. Andrew Puglisi (BS, Student): Andrew Puglisi was an undergraduate research assistant at FIU during the summer of 2017 and 2018. He is currently working toward receiving his B.S. in Mechanical Engineering from Villanova University, expecting to graduate in the spring of 2020. While working with the ABC-UTC program at FIU, Andrew worked primarily conducting research and reviewing studies on the applications of Unmanned Aerial Vehicles and how they can be used to improve upon current bridge inspection methods in 2017 and in 2018 worked assisting on various ABC research projects in the lab. Outside of class, Andrew is a part of multiple engineering clubs as well as holding a leadership position in club tennis. Nazanin Rezaei (PhD, 2018): Nazanin earned her PhD in Structural Engineering program at Florida International University in Miami, FL, and her masters in Civil Engineering from Iran University of Science and Technology, Iran. She has 7 years of experience in research and structural engineering projects in United States and Iran. In her PhD dissertation, she worked on experimental and numerical study on reinforced concrete struts, which has gained national attention (from ACI members) and is being used to validate code change in ACI 318 (the international building code in concrete design). She contributed to the development of a national ABC database that is being used by bridge designers around the U.S. She is a member of ACI Committee 445 “Shear and Torsion” and ASCE. Josef Ricardo (BS, Student): Josef Ricardo graduated in Fall 2017 with a B.S. in Civil Engineering at Florida International University. His focus is on Structural Engineering and has taken several structural electives such as Steel Design and Introduction to Pre-stressed Concrete Structures. Josef worked in 2017 on the research project: Long-Term Performance Comparison of In‐Service, Full‐Depth Precast Concrete(FDPC) Deck Panels to Cast-in‐Place (CIP) Decks. Some of the tasks of this project are to collect information from the Long-Term Bridge Performance (LTBP) Bridge Portal and develop a survey for bridge owners (State DOTs). He is currently working at Ribbeck Engineering , Inc, a roadway and drainage consulting firm.